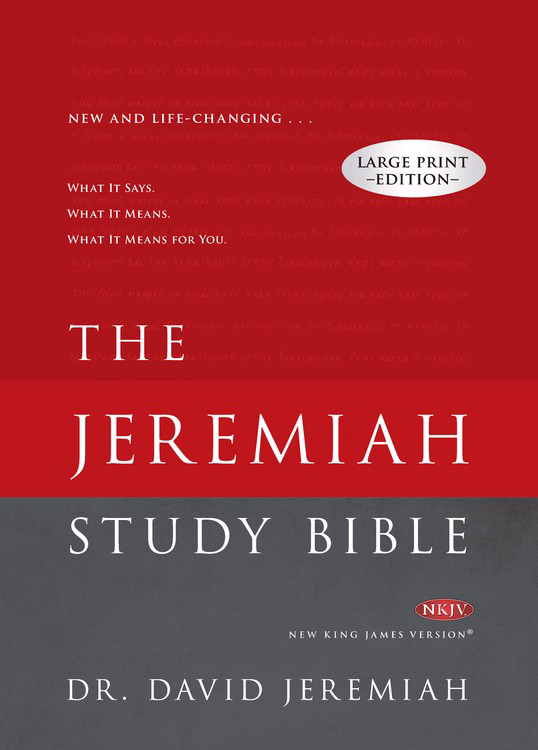 The NKJV Jeremiah Study Bible Large Print Edition by Jeremiah, David was published by Worthy Publishing in November 2015 and is our 36431st best seller. The ISBN for The NKJV Jeremiah Study Bible Large Print Edition is 9781617956744. 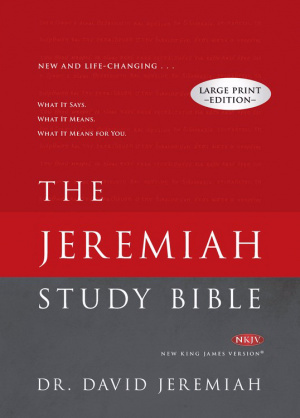 Be the first to review The NKJV Jeremiah Study Bible Large Print Edition! Got a question? No problem! Just click here to ask us about The NKJV Jeremiah Study Bible Large Print Edition. A:This is a Hardback Edition of the NKJV Jeremiah Study Bible. Thank you for using the Q&A Forum.